YWAM Publishing specializes in offering books that focus on ministry, education, evangelism, discipleship, and prayer. You may be familiar with some of their series including Heroes of History or Christian Heroes: Then & Now. They are a nonprofit ministry of Youth With A Mission, and a portion of the money received goes to different countries in need. We were given Milton Hershey: More Than Chocolate from the Heroes of History series including both the book and the Unit Study Curriculum Guide to review. Last year we visited Hershey, PA and also did a chocolate unit study so I chose this book to see if we could recognize any facts that were familiar. 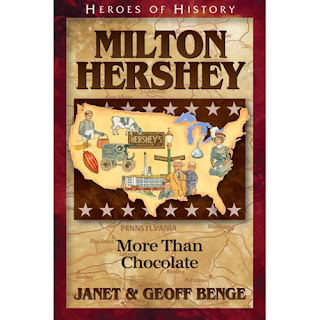 Milton Hershey: More Than Chocolate is the biography of a chocolatier who made the famous Hershey Bars. If you have never studied about Mr. Hershey before, his story is one of never giving up. He faced many milestones before reaching his final chocolatier millionaire status including debt, shame from his Mennonite family members, mother and father pulling him in different directions, and many many failures. His first greatest success did not come with the Hershey Bar but with caramels. He would experiment with products and sales techniques and experience many more failures than successes in the beginning but the overlying theme was he never gave up. His success really began to sore when he sold his caramel factory in 1900 for one million dollars! Finally falling in love at the age of 39 and marrying soon after, his wife Kitty knew that for Milton it was never about the money. He enjoyed the challenge and hard work. 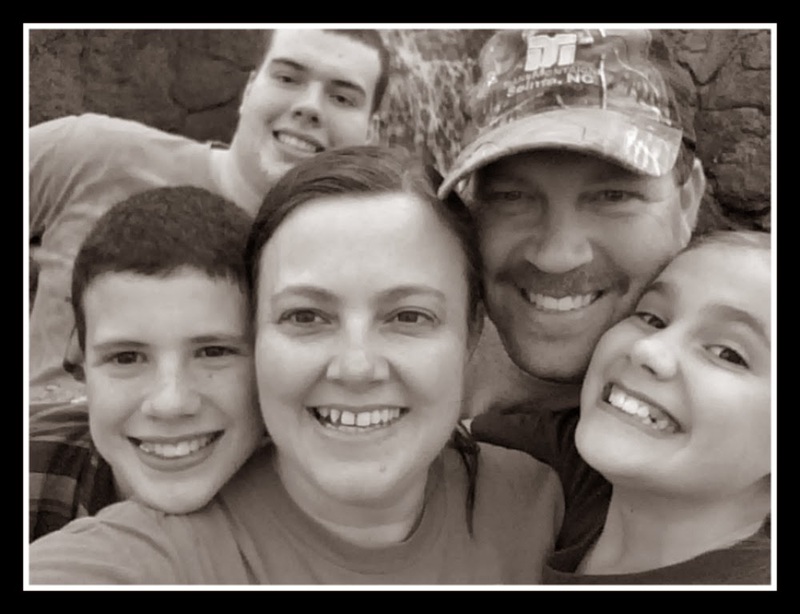 He was also very generous with his money setting up family and friends for life, starting his own thriving community known as "The Sweetest Place on Earth" and named none other than Hershey, PA, and starting an orphanage and school for boys. 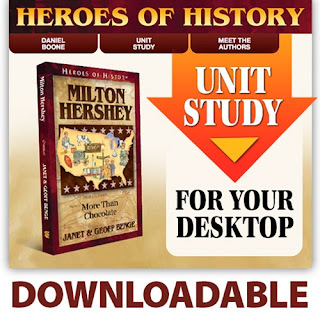 The Unit Study Curriculum Guide helps you easily tie in other study areas such as geography, current events, math, history, science and more turning your book into a complete unit study. 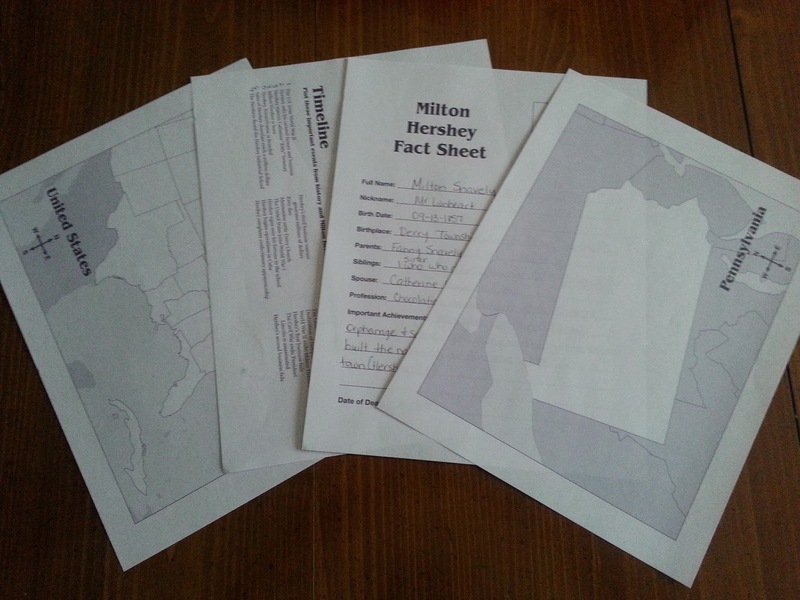 It also includes a meet the authors section containing 7 videos, written biography of Milton Hershey, and a bonus section including word puzzles, samples of other guides in the series, and map keys. 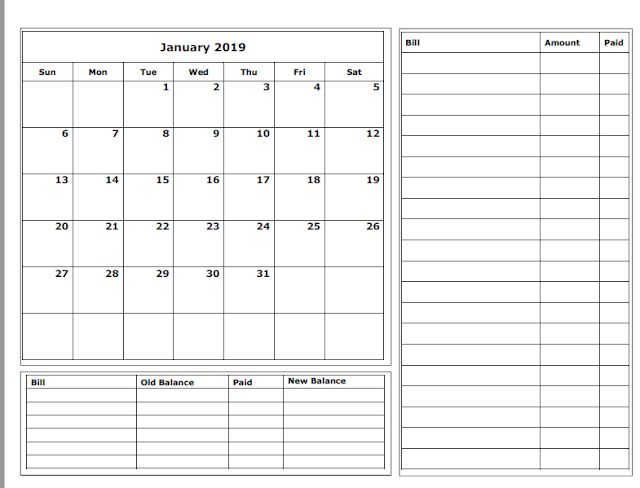 Suggestions are included for using the guide in a classroom setting, homeschool setting, and/or group setting. You can use the series of books as your core history curriculum or as a supplement. Our favorite way to use these books is for our read aloud time. It's fun when can sit as a family and share with dad, who is a history buff what we have learned. We mainly used the question section of the guide. Each chapter contains 6 questions including comprehension, vocabulary, factual, and open ended opinion questions. The answers are also included. This study guide is filled with ideas of hands on projects, memorization ideas, essay topics, creative writing topics, video project ideas, and so much more! One of the ideas was to film a commercial for a Hershey Bar. Here is my son's commercial for why you need to buy yourself a Hershey Bar - too much fun and I seriously was crying from laughing! He's also been watching some videos on editing and filming so this assignment went along perfectly. Our main focus was reading the book and answering the questions but we will definitely be implementing some of the terrific ideas included. We would highly recommend this series of books and guides. We've read several of them as read alouds and each one has been very educational and exemplary in bringing history figures out of the pages of a book and into our lives. If you would like to see what other books are offered in this series check out the Chronological Index of Heroes of History and click the banner below to see more reviews. You can also visit YWAM Publishing on Facebook, Twitter , and Pinterest.